Treating psoriasis naturally is a great alternative if the therapy works for your particular type of psoriasis. The difficulty in treating naturally is that the remedies available do not help a wide range of patients, and what works for one person might not work for another. If your psoriasis is not too severe and you can live with the symptoms try a natural remedy before you move to OTC over the counter or prescription medication. Before you start any type of therapy, consult with your doctor to determine if the alternative treatment you select is harmful to you. Diet One of the most effective ways of treating psoriasis naturally is by monitoring your diet and finding out which foods make your condition worse. No one particular diet is ideal for psoriasis but evidence demonstrates certain foods make conditions worse. These foods are different for everybody and that is why you have to monitor what you eat. If your digestive system is not working properly the foods you consume will not be absorbed. Deficiency in vitamins, minerals, proteins, carbohydrates and fats can make your psoriasis worse. Conditions like celiac and Crohn's disease affect how your body absorbs nutrients, so always talk to your doctor if you are aware you have any of these conditions. Herbs treat many ailments with varying degrees of success. Treating psoriasis naturally may not always provide a cure but it can provide relief from many of the symptoms as well as keeping your condition from getting worse. Always remember your body can have an allergic or toxic reaction to anything you consume. All natural does not mean it cannot harm you and that is why you have to consult your health care professional before treating psoriasis naturally or any other condition. Ayurvedic and Traditional Chinese Medicine TCM have a long history of treating disease and relieving pain for many different conditions. 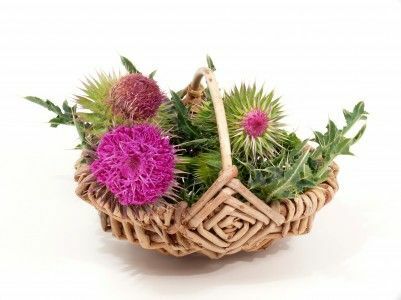 Although Western medicine has been reluctant adopting some of the methods Eastern medicine use, they agree some of the therapies offer benefits to their patients when used in combination with modern medicine. Treating psoriasis naturally using these methods can provide a safe long-term solution for your condition. Ayurvedic medicine uses a holistic method by trying to prevent diseases treating the whole body with diet, supplements and meditation. It uses techniques such as stress reduction, body cleanse, massage and oils to moisturize the skin. TCM uses herbs prepared by practitioners for each patient applied topically, orally and with injections. 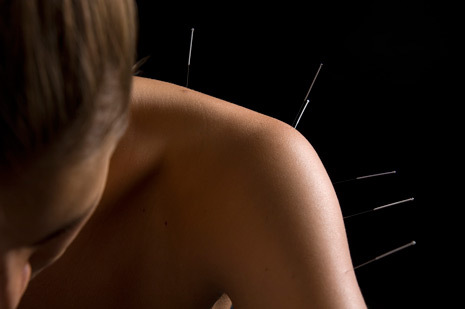 Acupuncture is another TCM technique used to relieve some of the pain associated with severe cases of psoriasis. Taking baths in sea salt has been effective for some patients in reducing dry skin and protecting it from infections. This form of treating psoriasis naturally also includes using different products in the water such as colloidal oatmeal, oils, herbs and plants. Water therapy can be used in combination with light therapy to reduce psoriasis symptoms. Whether you are using the sun or artificial light you have to take precautions to reduce your risk of skin cancer. Heliotherapy uses the sun as a light source and it provides vitamin D, it boosts your immunity and it plays a role in mood control. Homeopathy and naturopathy are alternative medical systems, which use almost the same principles of Eastern medicine for treating psoriasis naturally. Homeopathy tries to help the body use its own system to combat illness. By introducing a small dose of the disease in the body, it is believed your body is able to fight of the illness. The treatment is tailored for each person taking into consideration your total health. Naturopathy on the other hand is a preventative therapy and tries to identify and treat the cause of your condition instead of the symptoms. Exercise has been proven in providing many benefits for your body and it is one of the best ways for treating psoriasis naturally. Exercise does not cure psoriasis but the overall effect it has on your vascular, musculoskeletal and respiratory system helps your body heal naturally. You have many options when it comes to exercise so choose one that will keep you motivated for the long term and remember you can always change to break the monotony. Condition such as inverse psoriasis under your armpit can get worse caused by repetitive motions of some exercises. Using the right clothing and moisturizers can help overcome this problem.Psoriasis affects millions of people worldwide and some manufacturers use this fact to capitalize on the desperation of some patients without helping those suffering with this disease. Always include your doctor in your decision process this will ensure you get the right information about products. Treating psoriasis naturally can alleviate not only symptoms but also serious side effects from man-made and invasive therapies.